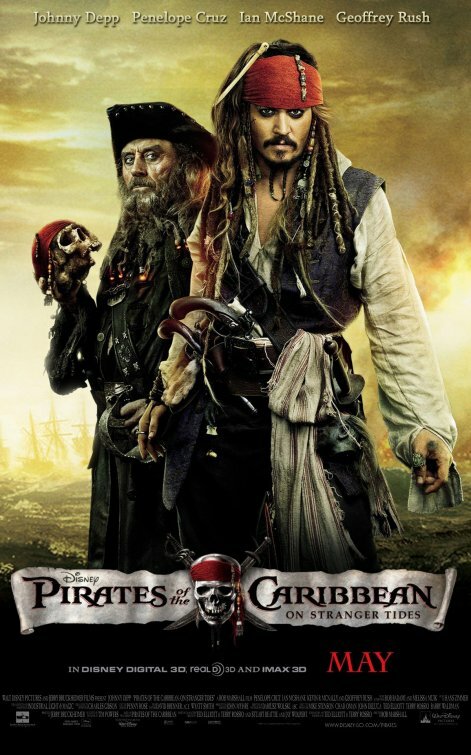 In Pirates of the Caribbean: On Stranger Tides Jack Sparrow finds himself in a race to the Fountain of Youth against British privateer Captain Barbossa and the Spanish fleet, when he is forced to guide the infamous pirate Blackbeard and his daughter to the legendary spring. 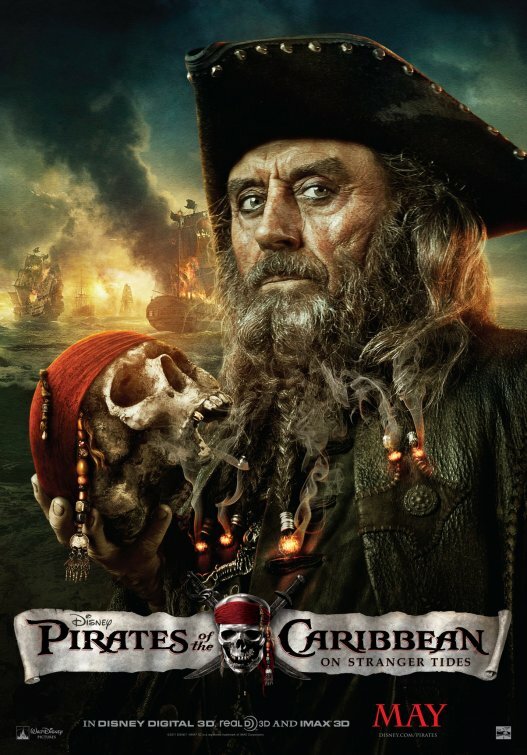 Ian McShane plays the pirate captain of legend, 'Edward Teach' a.k.a. 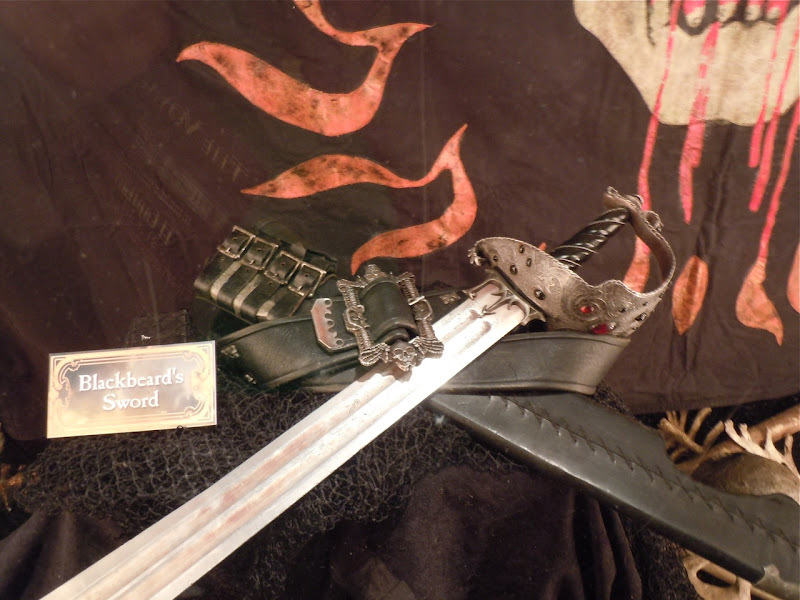 'Blackbeard', who we discover is master of the dark arts. 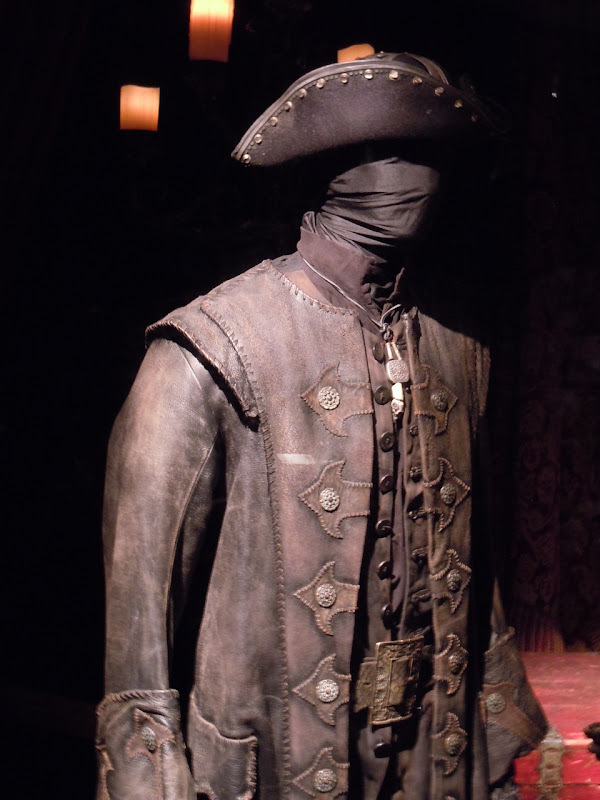 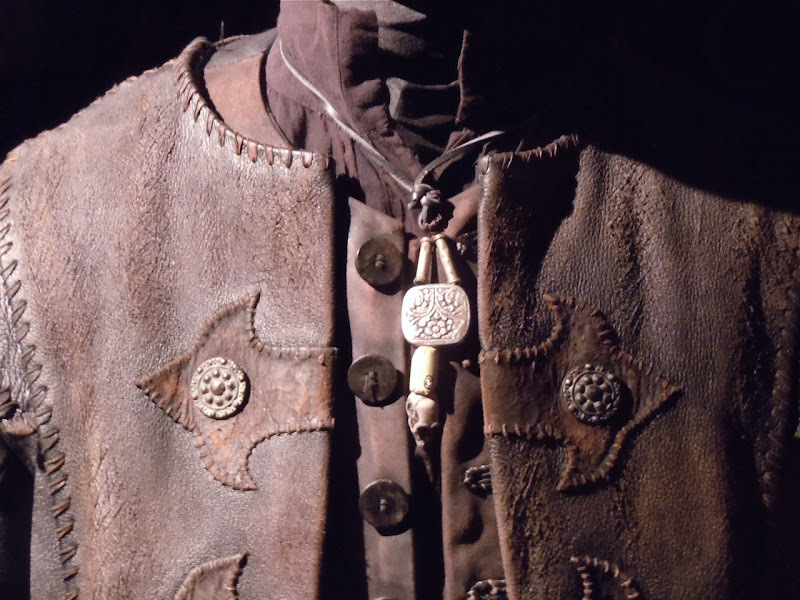 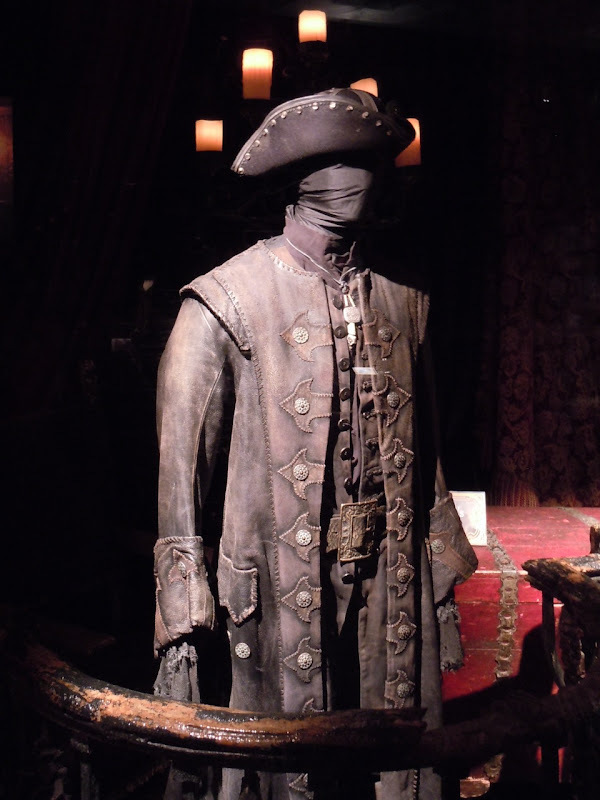 Blackbeard's costume was designed by Penny Rose who has worked as Costume Designer on all of Disney's Pirates of the Caribbean movies. 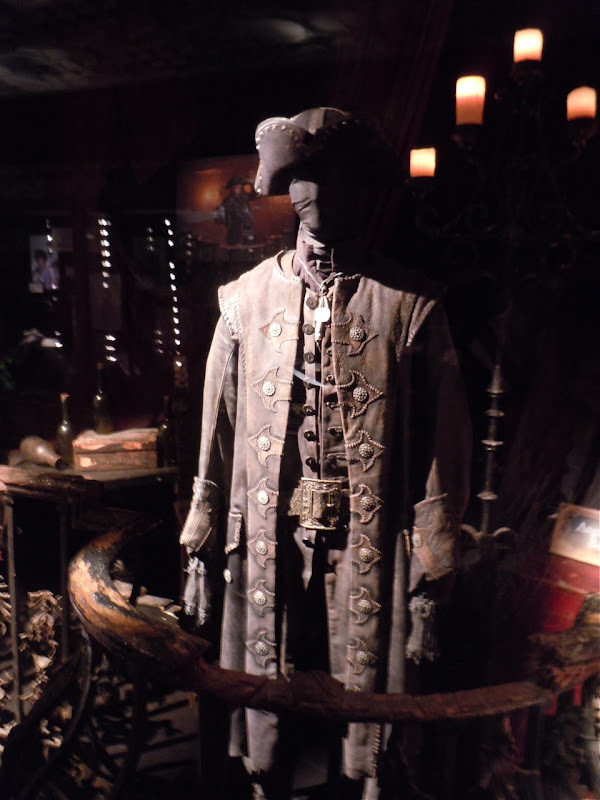 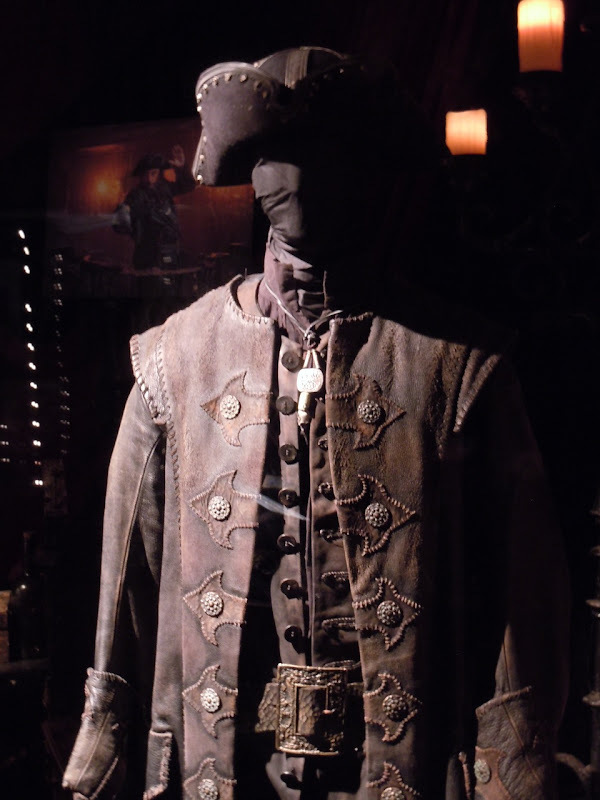 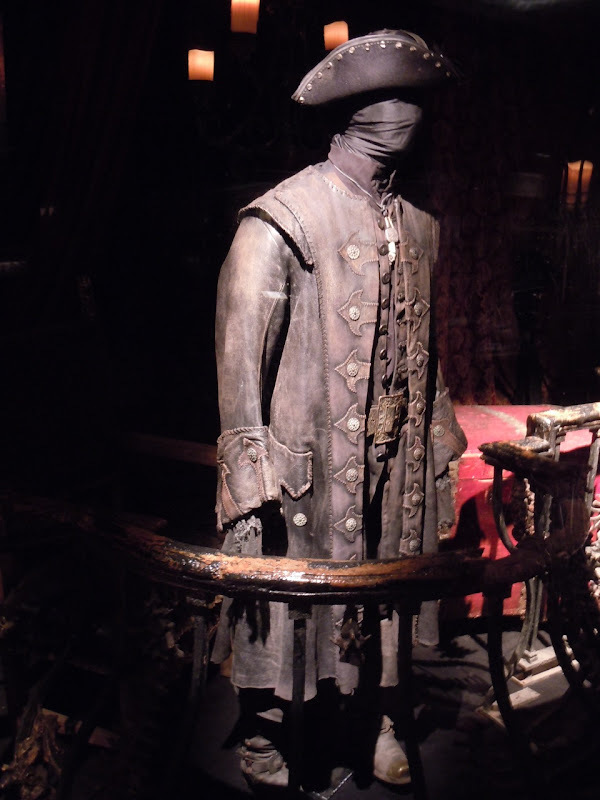 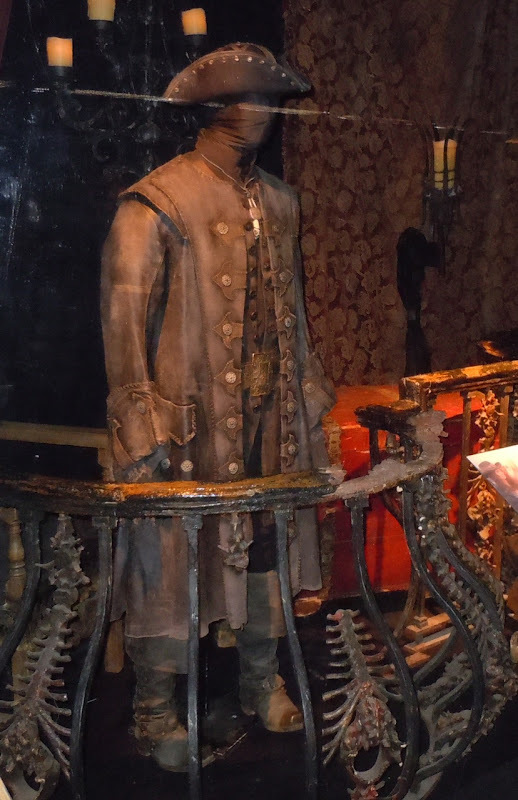 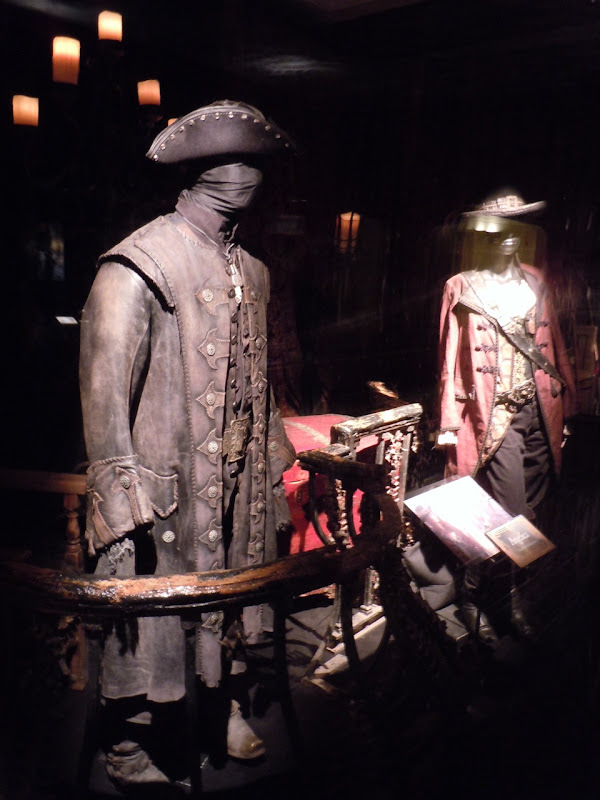 Also on display with Blackbeard's outfit was the actual costume worn by Penelope Cruz as Angelica, Blackbeard's daughter in the movie. 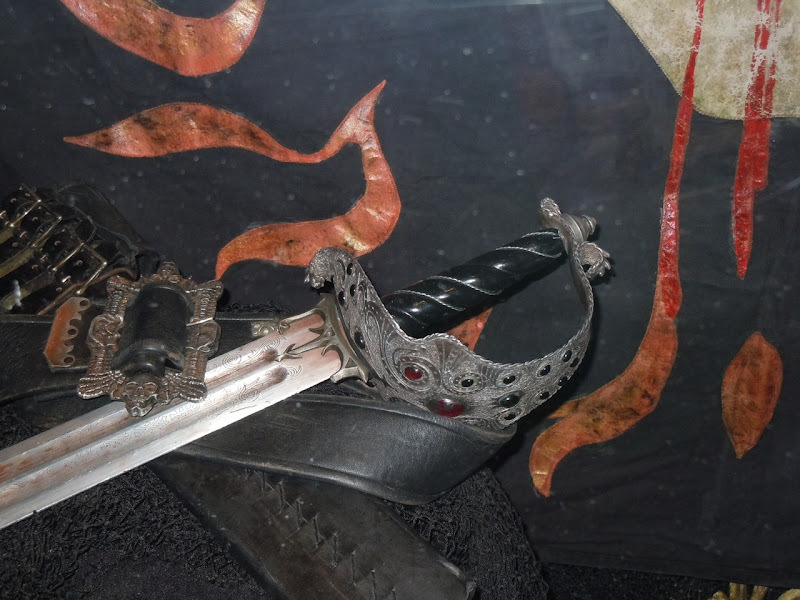 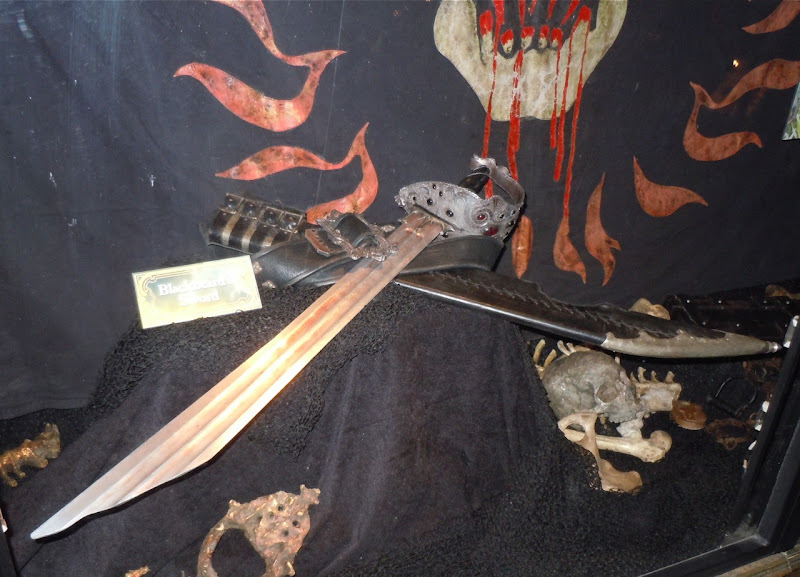 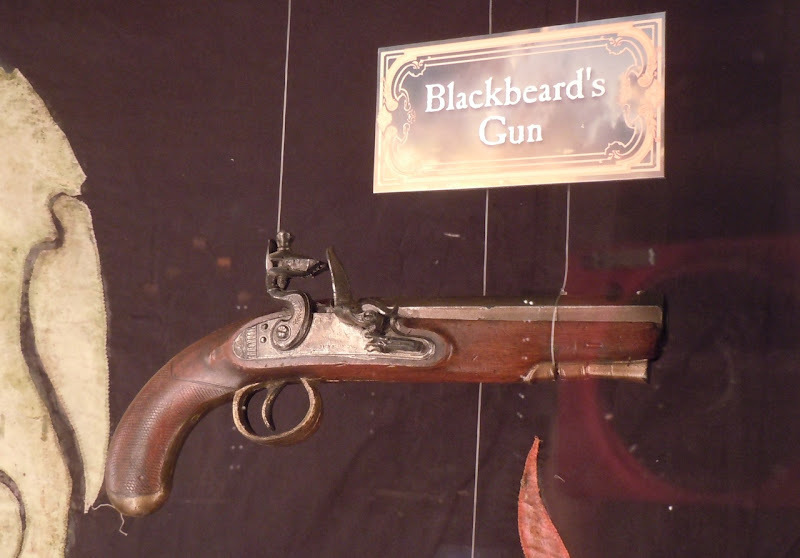 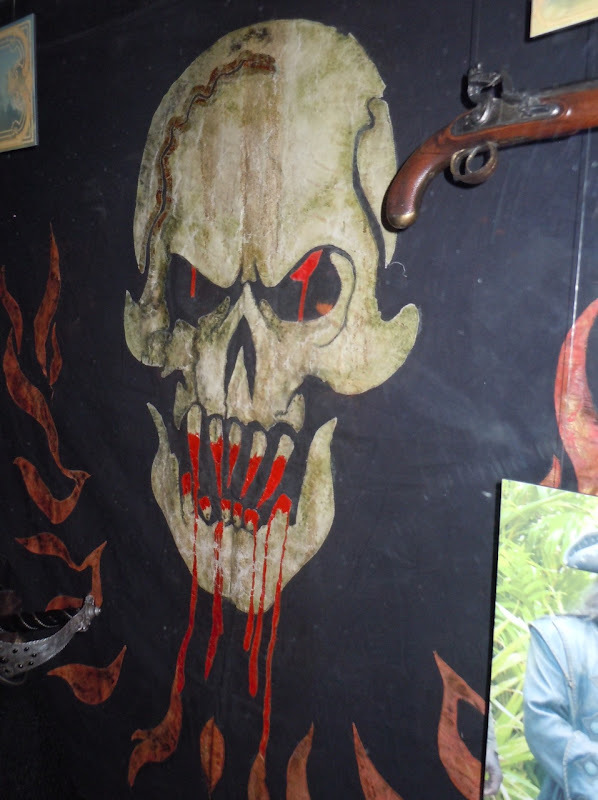 In addition to his costume, Blackbeard's signature weapons were also on display, including his pistol. 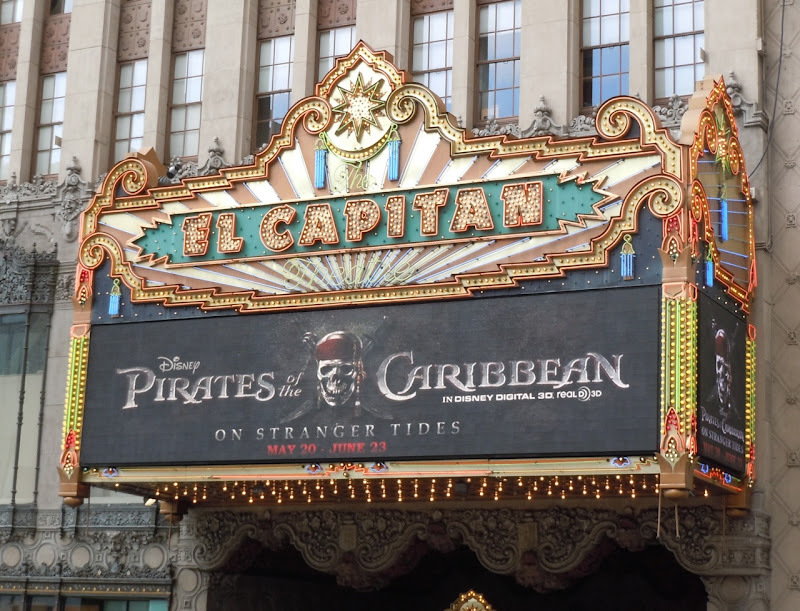 These costumes and props were photographed on display at the El Capitan Theatre on Hollywood Boulevard on May 23, where they will be exhibited until June 22, 2011. 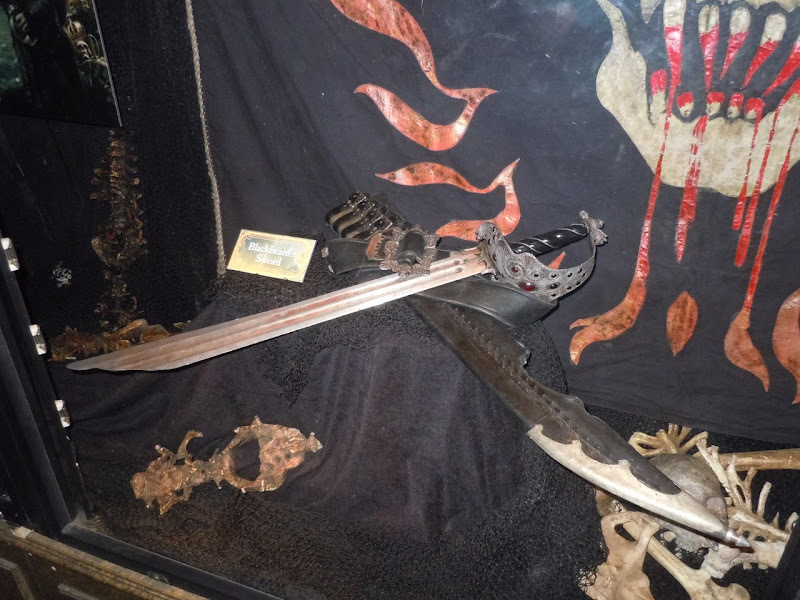 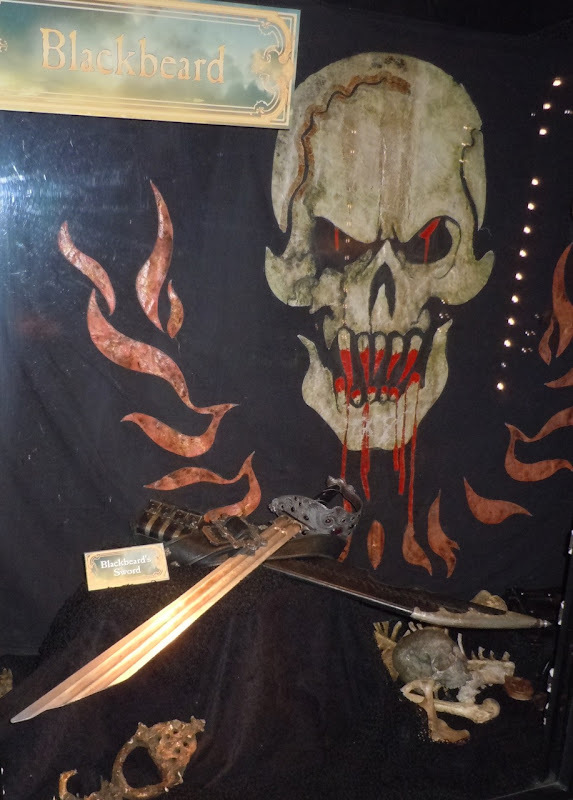 Blackbeard's magical sword and pirates flag was also on display for all to admire. 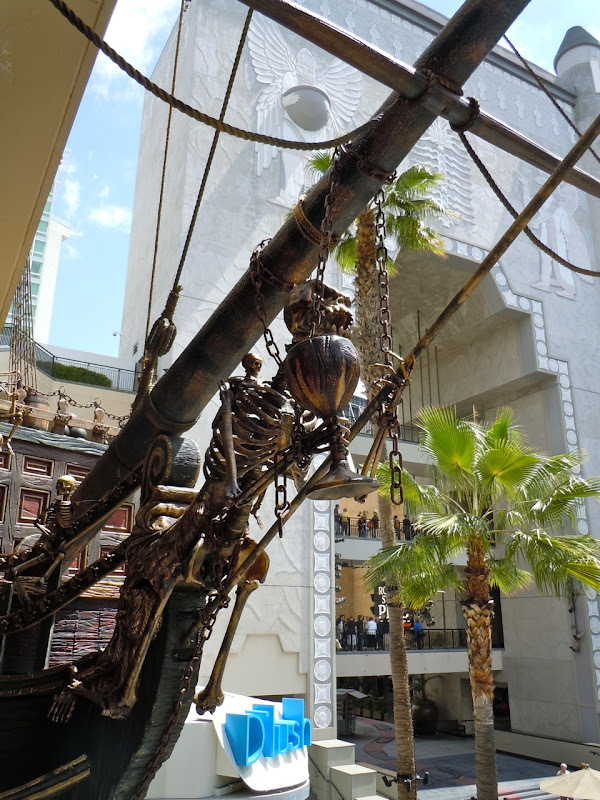 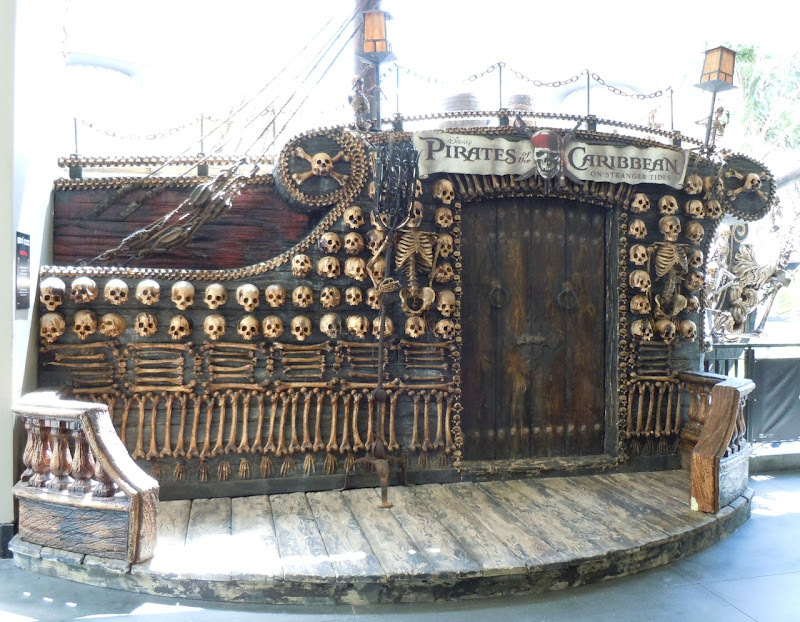 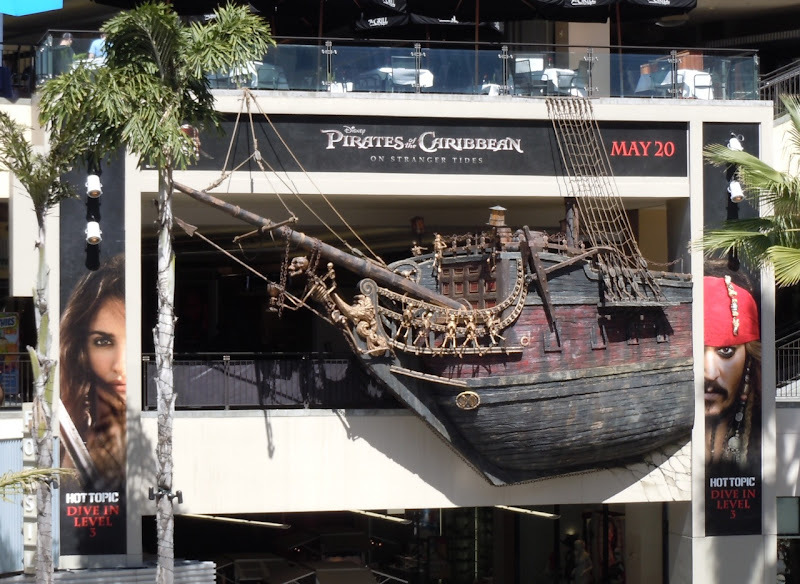 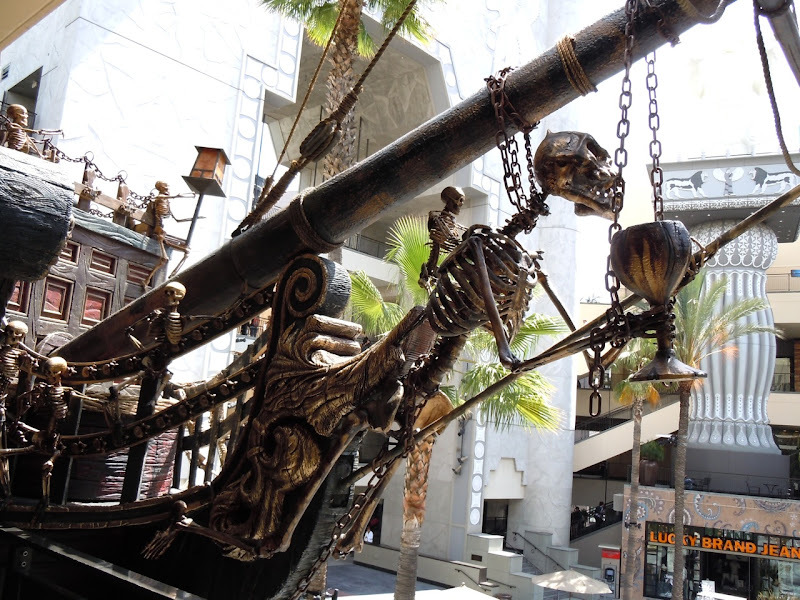 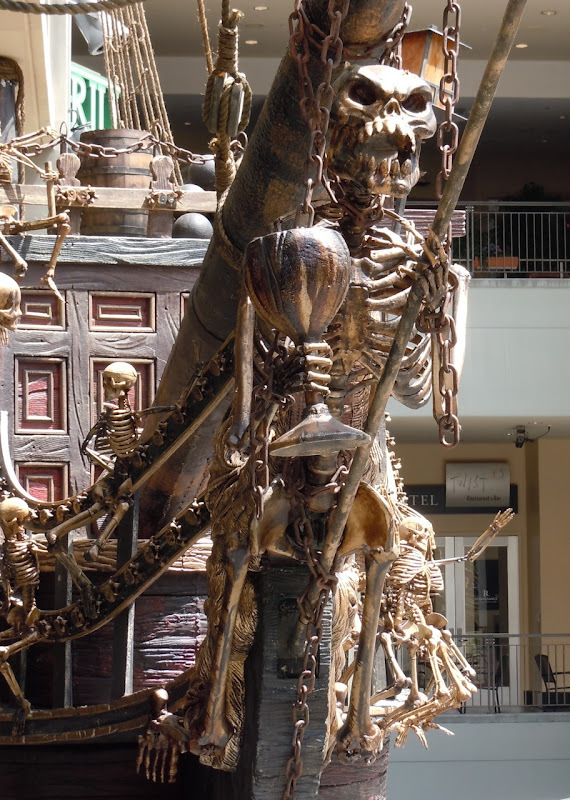 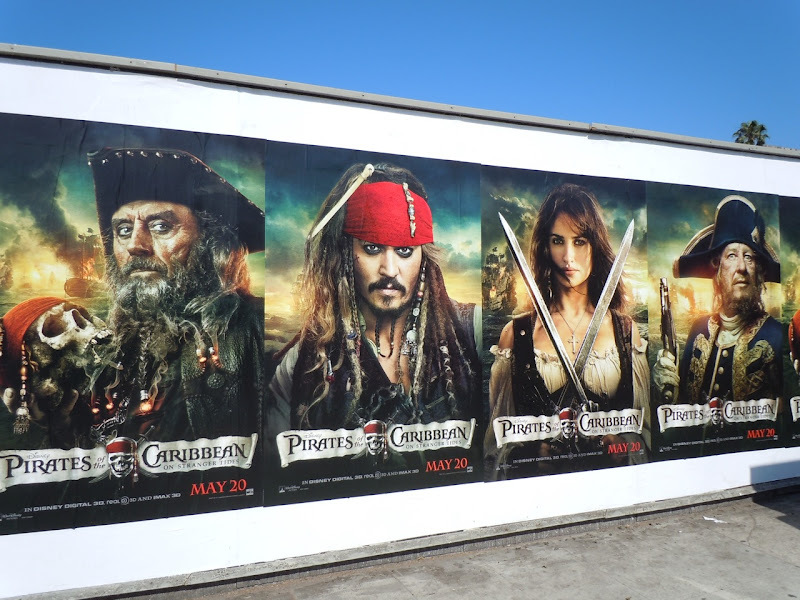 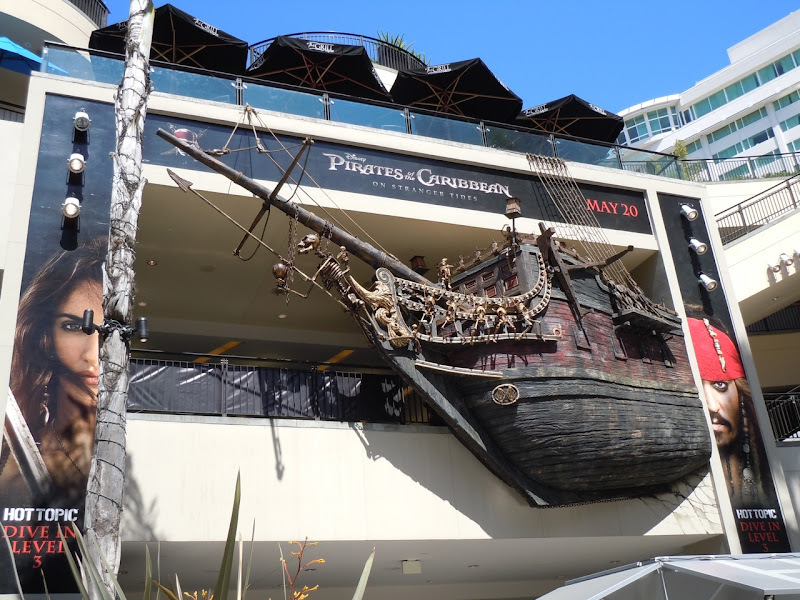 In addition to this fantastic movie memorabilia, across the street at the Hollywood & Highland Center you'll find a replica of Blackbeard's pirate ship, the Queen Anne's Revenge.